I notice that on Chinese November 11 (about 10 hours from now), you can buy the Wemos modules on Aliexpress for $2.57, including free shipping. @NeverDie I usually buy mine for $2.60 or even $2.47 so the sale is not that big. They've just yanked up the "standard" price now to make it look like the sale is on. and there are lot of wemos clones! seems there are people which receive it with an inverted soldered esp8266 or with doubtful parts quality! seems crazy! i don't have one like this, but multiple people have reported this! wow, do they have trained monkeys doing the soldering or some guy soldering them the wrong way on purpose. Or maybe they're selling them cheaply because they're rejects that were soldered wrong, and they know it. Where do you buy them for that price? I remember Wemos selling them for $4 when they first came out, and then I stopped checking. Even $2.60 seems like a good deal to me if the seller has a high reputation. The $2.34 one is "no longer available." There's a catch on the $2.57 listing. I could only get free shipping if I purchased a single unit. If I attempted to buy more than one in a single order, then shipping was no longer free. I just now noticed that there's a new version 2 of the D1 Mini. So, maybe the version 1's are priced low because they're being liquidated? Anyhow, Wemos claims it's more stable and has 30% greater radiated emissions. So, I decided to order some of those instead. So, I decided to order some of those instead. I notice Wemos now also has a 16 Megabyte version of the ESP8266. i.e. 4x the flash of an ESP-12F. I suppose that would make it a better webserver. @NeverDie sorry. You had not posted the second link yet when I wrote my reply. I noticed the larger pcb antenna on your first link so I thought that was the difference, but the ones I have are the old version then, they don't have the v2 stuff on the back side. I think the Version 2 WeMos must have been out for a while already, because the Wemos's I already have and which I purchased a while ago appear to be the Version 2 variety. So, maybe it's old news. Not much of a bump in price either. Just $5. I've been planning to either offload the files to a cdn (but that only works when the device has an Internet connection of course) or store them on a SD card (which would give access to gigabytes of storage) but there might be cases where the 16MB is a better alternative. Are your boards clones? They look different than mine. Mine have rounded corners, and they say WeMos.cc on the front. Yours don't have that. Apparently all of yours are version 1 then, irrespective of the Antenna. I don't think WeMos ever made one with the ESP-12E antenna. IIRC, from Day 1 WeMos was using the ESP-12F. From what I've heard, the 12F antenna is significantly better than the 12E and predecessor antennas. I originally purchased ESP-13 modules, because they had the upgraded antenna, but that was before the ESP-12F came out. I'm happy with the ESP-13's, but I don't know that they have any advantage over the ESP-12F. I now prefer the ESP-12F, if only because it's a bit more compact. Also, the ESP-12F has an LED on the module, whereas the ESP-13's don't. Anyhow, I think I'll order one of the 16 Megabyte "Pro" versions to give it a spin. I hear you can now run Micropython on an ESP8266, and that might be fun. Who knows? Maybe it could even function as an MQTT server. That would be cool if it could. I have bought all my Wemos D1 (30 pcs) from the original seller to get sure they work and they do. I would do the same, except the original seller doesn't ship by ePacket delivery. I'm guessing less expensive clones are probably fine for experimenting with, but for an install that needs to last for years and not fail I imagine Wemos (aka "the original seller") maybe has more reason to care about quality control and not cut corners since it's their branded name on the line. I'm curious to know: what is it you're doing that requires 30 D1 Mini's? The video and description show you not the newest version, but it give you an idea of it. I agree that having adequate power and power quality seems to be very important for anything with a radio, whether it be wi-fi, rfm69, or nrf24L01+. Or even Raspberry Pi's for that matter. If there's a mystery hardware problem, it's the first thing I check, because so often it's the culprit. I've also noticed that microusb conections are often lousy and drop too much voltage. It probably doesn't help either when a micro usb is surface mounted and there's little to nothing mechanical anchoring it in place besides a little solder paste. IIRC, that was part of the Pi's problem. Anyhow, something to keep in mind when troubleshooting. I have an Amazon Echo that I like a lot, although I'm vastly under-utilizing it. Is Voice Commando as good as it is at understanding speech? If you mated your IR blasting orb to Amazon echo, I'm sure you'd find a large, receptive audience. Thanks and yes VoxCommando has a lot of more advantages as the Amazon Echo but it is hard for me to list it all here. I'm sure the Amazon Echo has also its authority, but I don't really know how the Amazon Echo works. VoxCommando do not need a internet connection to communicate to a device and for me it is important to know that my spoken commands will not send over the net to an cloud server. You can use any kind of prefix to start VoxCommando to listening for a command if you don't like "Alexa"
Does VoxCommando work well if it's hooked up to an array microphone so that it's always listening? One of the strong points of Alexa is that you don't have to pick up a microphone to talk to it. I can talk from across the room, and Alexa still understands me just fine. I use personally different types of mics. Wireless mic, my mobile phone (there is a extra android app availabe "VoxWav") and also a smartwatch (Omate). I have no experience with an microphone array but some user using a boundary mic. Here are a interested post from our forum about the Echo. Corrected spacing between rows of pins to fit the Wemos D1 Mini. Enlarged drill holes to make inserting and aligning header pins easier. Rotated FTDI header 180 degrees. I just now ordered new Version 004 boards from the fab. This project will remain a "Work in Progress" until I receive them and can verify that everything is fitting correctly and working as it should. Caveat emptor:The vendor I used (above) sent me version 1 clones, despite its photos showing Version 2 Wemos boards. What a rip off! From now on I'm ordering only direct from Wemos. @NeverDie don't forget to open a dispute, add a photo with the board you received and a v2 with clear text saying "Official Wemos v2 / picture on product page" and "Board received" as title, then make arrows to show the differences. They are claiming to sell v2 so you would already not have too many problems to get your money back from aliexpress. But as they also claim it's "by Wemos" and what you received is not, it means they're selling fakes, full redund is only a few days away from your pocket. Tip: you can also discuss with the seller to make him admit it's not an official wemos board, then put a screen capture of the messages attached in the dispute. In this instance, the pro mini hovers over the ESP8266 antenna, which isn't ideal. I suppose one could mount the pro mini vertically so as to avoid that. However, I'm now thinking that mounting the FTDI connector at the front of the adapter board, and having the pro mini (or whatever is being connected to) hang in the opposite direction might be a better way to go. Doing that, the board could also be reduced in size by about 1/3. Of course, for a permanent installation, one could just solder the pro mini direcctly to the adapter board, and then it wouldn't overhang quite so much. Or one could just orientate the plugs vertically (as in the example photos of the homemade version), and the pro mini itself could remain horizontal. Anyone have any opinions regarding this, or is it a "don't care" issue? For example, which do you prefer: a horizontal (as shown) or vertical orientation for the FTDI connector? What is the idea to connect an Arduino to an ESP8266. What are the benefits of an Arduino in comparison to an ESP? From my understanding, an ESP is more powerful than an Arduino nano. What are the benefits of an Arduino in comparison to an ESP? The number of inputs and outputs is one benefit. Also, if you're doing something that's very sensitive to timing, you may want to have a dedicated mcu handling that aspect. The ESP8266 is effectively timesharing it's wi-fi duties with its other tasks. I just now posted Version 7. Fixed a routing error that prevented OTA reset from working. Now connecting D6 of Wemos D1 Mini (i.e. GPIO 12 of ESP8266) to DTR. Changed pads to be square or round according to normal schematic convention. I just received my D1 Mini "Pro," and it is a completely different design from the non-pro version. It only has SMD parts on one side of the board, not two as with the non-pro version. Furthermore, it doesn't use a metal encased ESP8266 module at all. Instead, it more or less implements the contents of a metal-can module on the board itself. In other words, Wemos vertically integrated the Pro version. 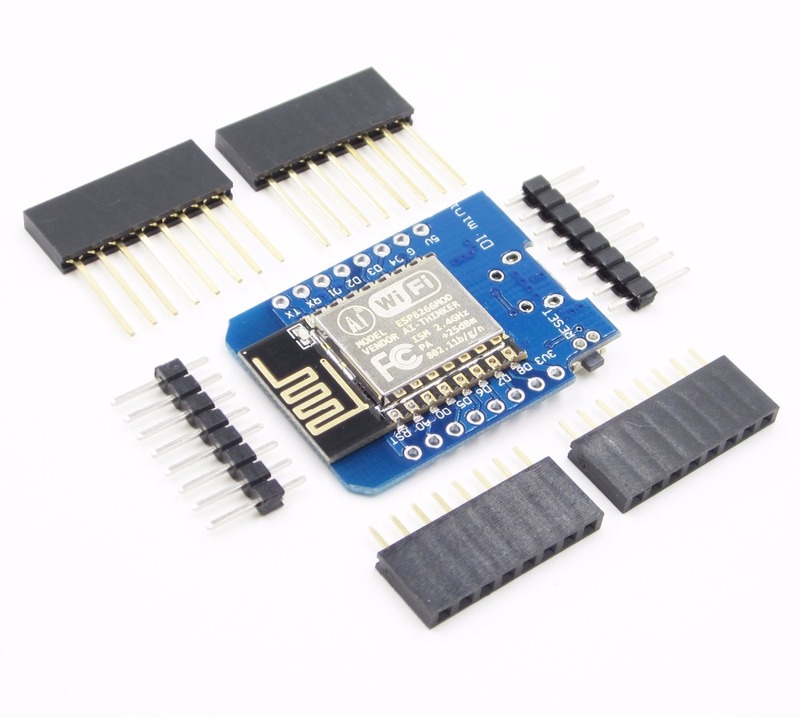 It has also 16M bytes flash instead of 4M bytes and a CP2104 USB-TO-UART IC which is new, there is also a external antenna connector available. Just received mine and it's great as it's really thin now. They have moved the USB plug on the same slide than the components and every other component is thinner than that. Not sure about the reception quality with the ceramic antenna but it could be a good improvement too. You're ahead of me. How much is supported? Do you noticed also the PSF-A85 and PSF-A85 boards on the itead website? 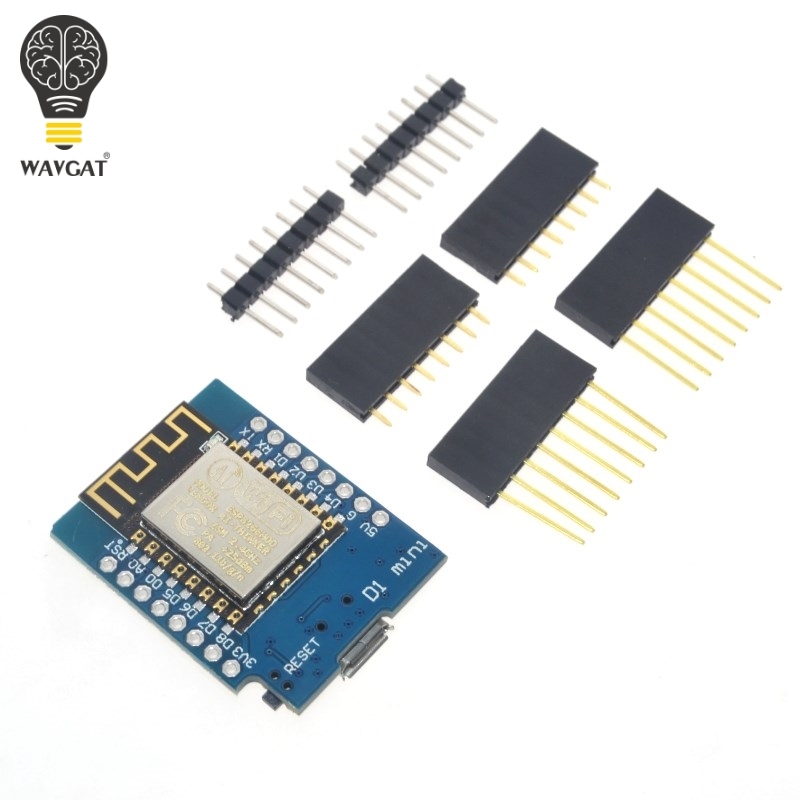 These boards contain the new ESP8285. I have seen this ESP8285 (ESP8285 internal Flash is 1MByte = 8Mbit) in the Sonoff Wall-Touch-switch and it was easy to write a Arduino sketch to it with an FTDI programmer (FTDI prg. is only for the first time needed, after that you can update the sketch OTA). The Board has only ~14mmx14mm - so it is possible to shrink "Wemos D1 mini" based projects. @Nca78 I have tested both types of switches (EU/US) and they have both the same components inside - so maybe the EU wall switch will fit because it is even smaller. The price for such a switch is amazing (15$), but it is not glass on the top it is acrylic plastic. Thanks for the links. Itead describes them as "ultra alow power," but I'm wondering: what's ultra low power about them? Aside from turning it off (500na), everything else doesn't seem ultra low power, at least compared to the usual atemega328p + nrf/rfm radio module that we're all used to on this forum. That said, I think the esp8266/85 actually could be made much lower power if it were possible (and it probably is, but I don't know how) to use its radio to simply broadcast a message without first linking to a router. Then, even if the power drain is high while active, it's active period could be kept so short that the energy drain would be quite manageable. Do you happen to know if there's a way to do that? @NeverDie Itead said this chip is also for creating wearaible devices - so I think it is possible to use it with batteries. The ESP has a deepsleep function but I have no experience with it and don't know how it works - sorry. I have only "hacked" the Sonoff touch wall switch to use it without the terrible cloud app - I don't use it with the mysensors stuff, but maybe it is possible to use such a switch as ESPgateway node (the chip is powered with 3.3V) and we can try to upload the ESPgateway sketch on the switch. The deep sleep is good enough. What ruins the whole thing, though, is the fairly long re-acquaintance with the wi-fi router once it wakes up. That's where most of the power drain happens. If we could just drive the radio directly, then that problem goes away. OK, I just noticed that it supports wi-fi direct (https://www.itead.cc/psf-a85.html), so perhaps that could accomplish it, since that doesn't require the lengthy wi-fi router dance. The other strange thing is that Itead says its module supports 2x1 MIMO, and yet I see only one antenna port on it. @NeverDie To connect to the router take only 1-2 seconds for my wemos devices (static IP), but ok - maybe this is to long. Yeah, 1-2 seconds is correct, but there's a consensus that for battery operation, because of the high current drain, that's actually 2 to 3 orders of magnitude too long. Think of a typical temp-rh sensor that updates every 5 minutes, for example. It adds up quickly. Wearable ESP8266 (or 8285) is also a bold claim by iTead. The lowest power mode for radio transmit draws around 120mA, it's already over 50mA in receive mode. And if you use PWM, i2C (and I fail to see the use of wearable without them) or anything like that even when disabling the radio it will consume 15mA. Will the ESP32 be capable of "ultra low power" in a real sense? Have you run any measurements? So, i'm not sure for ultra low power (depends also on strategy..), but very low power yes. I've not run any power consumption tests, focused on other parts. And the SDK is still not complete including the low power aspects. Some stuff is missing in ESP-IDF, but ready in Arduino, and vice versa. Docs are not complete yet, but looks good. In that case, what's your definition of "very low power"? Will the ESP32 be able to remember its state (including all variable values) just prior to sleeping, like an atmega328p can, or like the ESP8266 do you have to explicitly store the state in flash before sleeping and then restore it upon waking up? for more infos, easier to have a look at their docs but it's a lot smarter than esp8266. Fair enough. It's just that it's hard to know, as Nca78 points out, what parts of their documentation can be believed, and what parts are pure fantasy. 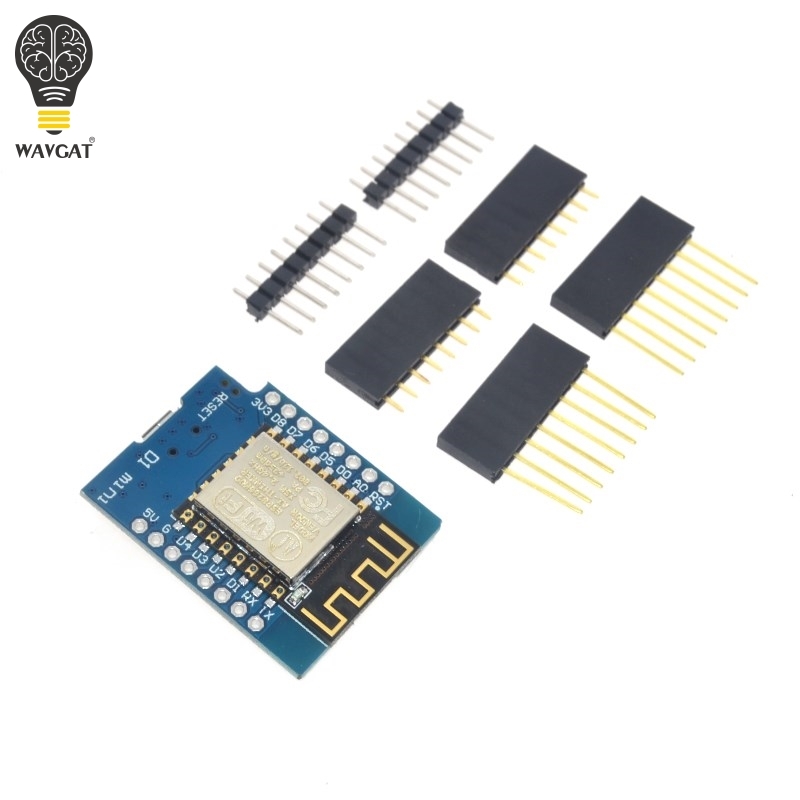 Other seller are selling either the esp32 or the esp32 with an adapter board for 2-3x that amount. So, it's still early days until supply catches up with demand. Built in hardware support for 10 capacitive touch channels. Two 10-bit DAC's. Quite a few 12-bit ADC's. Which of the esp32 boards is the best one to buy? What I like about the Wemos board for the ESP8266 is that I can download a sketch without having to press any buttons on the board itself. Is there an esp32 board that works like that also? But I firstly ordered a Nano32 which I like. You can have pinheader on each side of the board when breadboarding. You can't with the official Espressif board which is too large. There is lot of esp32 board released. But all have the first ic revision of course. Uh, "first ic revision"? I haven't followed esp32 at all, obviously. Was there later a second ic revision? i.e. are all the boards currently out there saddled with obsolete ic's? yes Espressif has released an Errata doc, some issues related to silicon die ic. Minor issue, depending of doing what with it. I read the fixed version should be available at beginning of next year. I'm in no rush. I'll wait until it's deemed ready for prime-time. I've tested the board, and it works fine. I added some photos of the lateset board version. @NeverDie did you opened a dispute regarding your false wemos D1 V2 on aliexpress cause I have the same situation with the same seller. No. I've had more important things to do that took precedence. I think the lesson is: buy only direct from Wemos. @fets it's easy to win the dispute in this case. Make side by side pictures of the board you received and the real wemos as advertised by the seller with title "real wemos" / "received from [seller name]" and put some big red arrows to point the differences. In the text explain the differences and insist on cheaper esp8266 version with lower antenna performance. Explain you want full refund because the price of items is not worth the time and money to send them back. The best is if you can make the seller admit in private message that he is not selling genuine boards but copies. Then screen capture of conversation is your quick ticket for full refund. Should take you less than 15mns. Hi @All I built a GW node with local sensors without radio from a WeMos D1 mini Pro and I have one issue with it. It seems like it shuts down the WiFi part if there is no communication. If I constantly ping it it will keep working but if I leave it alone for 30min it will no longer respond to ping and my controllers have lost the connection. I see from the serial debug that it is still working and processing the code related to the local "sensor" but WiFi is dead.